A full or partial refund may be credited if the management of ETS determines a catastrophic event or natural disaster effecting individual or group travel by air or ground, and/or, the running of the Kentucky Derby occurred is postponed or cancelled as a result of said event. In which case, it is hereby understood as relates to the exception above, that the management of ETS, will be the sole determinant of any refunds in full or in part. Services are limited to a 15 mile radius from the downtown Louisville metro area; and do not include any Louisville Airport (Standiford Field or Bowman Field or Atlantic Aviation) pickups. The above pricing does not include parking passes for Churchill Downs. Customers should obtain these passes directly from Churchill Downs as part of your ticket purchases. 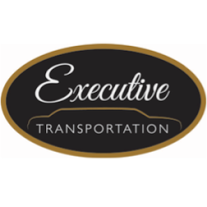 Executive Transportation Service may be contacted for other parking options at (502)817-3647. All reservations will include a standard 20% Gratuity. Customers are not prohibited from awarding higher gratuities to either their driver and/ or the company for services rendered by contacting the management of ETS at (502) 817-3647. Cell phone numbers listed on the reservation are expected to be in service and available from pickup to return unless ETS management has been contacted in advance to approve other arrangements for contact. Customer must present to our management a verifiable contract from our competitor for the same 2 day, 10 hour per day service package, equipment or equivalent. The competitor must be a licensed ground transportation carrier who is registered as ground transportation carrier on a regular yearly basis with the State of Kentucky Transportation Cabinet. The competitor must be registered with the Louisville Better Business Bureau with at least an A rating or higher.